You are currently browsing the category archive for the ‘Exposition’ category. I had been wanting to write on this topic – no, I am not referring to the above quote by von Neumann – for quite some time but I wasn’t too sure if doing so would contribute anything “useful” to the ongoing discussion on the pedagogical roles of concrete and abstract examples in mathematics, a discussion that’s been going on on various blogs for some time now. In part coaxed by Todd, let me share some of my own observations for whatever they are worth. New research published in Science suggests that attempts by math teachers to make the subject easier to grasp by providing such practical examples may actually have made it tougher to learn. The researchers then tested their grasp of the concept by seeing how well they could apply it to an unrelated situation, in this case a children’s game. The results: students who learned using symbols on average scored 80 percent; the others scored between 40 and 50 percent, according to Kaminski. One may read the entire article online to learn a bit more about the study done. Let me add that I do agree with the overall conclusion of the study cited: in mathematics concrete examples (in contradistinction to abstract ones) more often than not obfuscate the underlying concepts behind those examples, thus hindering “real” or complete understanding of those concepts. However, I also feel that such a claim must be somewhat qualified because there is more to it than meets the eye. Sometimes the line between abstract examples and concrete ones can be quite blurry. What is more, some concrete examples may even be more abstract than other concrete ones. In this post, I will assume (and hope others do too) that the distinction between an abstract example and a concrete one (that I have chosen for this post) is sharp enough for our discussion. Of course, my aim is not to highlight such a distinction but to emphasize the importance of both abstract and concrete examples in mathematical education, for I firmly believe that a “concrete” understanding of concepts isn’t necessarily subsumed under an “abstract” one, even though a concrete example may just be a special case of a more general and abstract one. What is more, and this may sound surprising, abstract examples may sometimes not reveal certain useful principles which, on the other hand, may be clearly revealed by concrete ones! Let me illustrate what I wrote above by discussing a somewhat well-known problem and its two related solutions, one of which employs an abstract approach and the other a concrete one, if you will. Some time ago, Isabel at God Plays Dice pointed to an online article titled An Intuitive Explanation of Bayesian Reasoning by Eliezer Yudkowsky, and I borrow the problem I am about to discuss in this post from that article. PROBLEM: 1% of women at age forty who participate in routine screening have breast cancer. 80% of women with breast cancer will get positive mammographies. 9.6% of women without breast cancer will also get positive mammographies. A woman in this age group had a positive mammography in a routine screening. What is the probability that she actually has breast cancer? How may one proceed to solve this problem? Well, first, let us look at an “abstract” solution. Also, we note that and . Plugging these values into the above formula immediately yields P(A/B) = 7.76%. And, we are done. 1. It is not hard to observe that the derivation of Bayes’ formula follows from the definition of conditional probability, viz. P(A/B) = P(AB)/P(B), where P(B) > 0, and the usual set-theoretic rules involving the union and intersection of sets (events). And, this derivation can be carried out through sheer manipulation of symbols under those rules. By that I mean, if a student knows enough set theory as well as the “laws” of set-theoretic probability theory, then the derivation of Bayes’ theorem makes absolutely no (or, almost no) use of the “intuitive” faculty of a student. 2. The abstract method presented above also subsumes the concrete method, as we shall see shortly. What is more, Bayes’ formula can be generalized even further. This means that once we have this particularly useful “abstract” tool at our disposal, we can solve any number of similar problems by repeatedly using this tool in concrete (and even abstract) cases. In addition, Bayes’ theorem can also be thought of as a “black box” to which we apply certain inputs in order to get our output. This should not surprise us, for in mathematics the use of theorems as black boxes is a common one. Now, the above two observations may lead one to believe that indeed there is almost no need to find a “concrete” solution to the above problem. After all, the abstract case takes care of the concrete cases completely. However, let us see if we can come up with a concrete (that is, a far less abstract) solution and examine it more closely to see if we can extract some useful ideas/techniques from the same. “CONCRETE” SOLUTION: Suppose we choose a random sample of 100,000 women of age forty. (We choose that figure for reasons that will be clear soon.) Then, we have two groups of women. 1st group: 1,000 (1%) women who have breast cancer. 2nd group: 99,000 (99%) women who don’t have breast cancer. Now, in the 1st group, 800 (80% of 1,000) women will test positive, and, in the 2nd group, 9,504 (9.6% of 99,000) women will test positive. So, it is clear that if a woman tests positive, then the probability that she belongs to the 1st group (that is, she really has cancer) is 800/(800+9504) = 7.76 %. And, we are done. Let me quickly point out a very important advantage the above solution has over the abstract one we saw earlier. Indeed, we finally “see” what’s really going on. That is, from an intuitive standpoint, we observe in the above solution that there is a “tree structure” involved in our reasoning. The sample of 1,00,000 women bifurcates into two distinct samples, one of which has 1,000 women who have breast cancer and the other that has 99,000 women who don’t. Next, we observe that each of these two samples in turn bifurcates into two samples, one of which comprises women who test positive and the other that comprises women who don’t. This clearly reveals to the student the “tree structure” in the above reasoning. This makes the concrete solution much more appealing and “satisfying” to the average student. In fact, the generalization we talked about earlier in regard to Bayes’ theorem can even be carried out in this particular method: we will only need to increase the depth and/or breadth of our “tree” by extending more nodes from existing ones! Moreover, one may recall that the use of such “trees” in reasoning is quite common in mathematics. For instance, the two most basic rules of Combinatorial Principles, viz. the Rule of Sum and the Rule of Product are proved using such “trees”. So, this is one instance in which a concrete solution reveals much more clearly a quite fundamental principle/technique (use of “trees” in reasoning) in mathematics that isn’t clearly revealed at all in the abstract solution we examined earlier. In other words, much thought needs to be put in deciding if abstract examples should necessarily be “favored” over concrete ones in mathematics education. From a pedagogical standpoint, sometimes concrete examples are simply much better than abstract ones! A couple of weeks ago, when Miodrag Milenkovic posed an interesting general problem in connection with POW-7, I was reminded of the “hairy ball theorem” (obviously a phrase invented during a more innocent era! ), and a surprisingly easy proof of same that John Baez once told me over beers in an English pub. John is quite a good story-teller, and I wasn’t able to guess the punch line of the proof before it came out of his mouth –when it came, I was so surprised that I nearly fell off my stool! Well, I happened to run across the original source of this proof recently, and though it may be “old news” for some, it’s such a nice proof that I thought it was worth sharing. The hairy ball theorem says: every continuous tangent vector field on a sphere of even dimension must vanish somewhere (at some point of the sphere, the tangent vector is zero). In the case of an ordinary 2-dimensional sphere, if you think of a vector at a point as a little “hair” emanating from that point, then the theorem says that you can’t comb the hairs of a sphere so that they all lie flat against the sphere: there will be a cowlick sticking straight out somewhere. The classical proofs usually make some kind of appeal to homology theory: for example, a deep result is that the Euler characteristic of a compact manifold can be computed in terms of any continuously differentiable tangent vector field, by adding up the so-called “indices” of the vector field in the neighborhoods of critical points, where the vector field vanishes (a technical result shows there is no loss of generality in assuming the vector field is continuously differentiable). If the vector field vanishes nowhere, then the Euler characteristic is the empty sum 0; this cannot be in the case of an even-dimensional sphere, because its Euler characteristic is 2. The hairy ball theorem follows. Some of these homology-based proofs are quite slick, but generally speaking, homology theory requires some heavy infrastructure; the question is whether a more elementary proof exists. The following “analytic” proof is due to John Milnor and uses very little machinery, basically nothing beyond advanced calculus. I will follow his exposition (American Mathematical Monthly, July 1978, pp. 521-524) pretty closely. The matrix of first partial derivatives of is , where denotes the identity matrix. For sufficiently small, the determinant of this matrix is strictly positive over all of . Lemma 1: If is sufficiently small, then is a one-to-one function of onto its image, and is a polynomial function of . We have only if ; if we assume , this can happen only if . So is one-to-one for such . where This completes the proof. Next, suppose that on we have a continuously differentiable non-vanishing field of tangent vectors. Applying the continuously differentiable map , we assume the vector field consists of unit tangent vectors. For each , the vector is thus of length , hence maps the unit sphere to the sphere of radius . Lemma 2: For sufficiently small , the map maps onto the sphere of radius . maps the complete metric space to itself (because and — just use triangle inequalities), and satisfies a Lipschitz condition where . By a classical fixed-point theorem, has under these conditions a (unique) fixed point , so that . Rescaling and by the factor , the statement of lemma 2 follows. Now we prove the hairy ball theorem. If is a continuous non-vanishing vector field of tangent vectors on , let be the absolute minimum of . By standard techniques (e.g., using the Stone-Weierstrass approximation theorem), there is a continuously differentiable vector field such that , and then so that is also non-vanishing. As above, we may then substitute for , i.e., assume that consists of unit vectors. By lemma 1, is polynomial in . So must be even; therefore admits a non-vanishing vector field only if is odd. This gives the hairy ball theorem. Man, what an awesome proof. That John Milnor is just a master of technique. Just a quick note on how any of this bears on Milenkovic’s problem. He asked whether for any topological embedding of in and any point in the region interior to the embedding, there exists a hyperplane through such that the barycenter of the -dimensional region coincides with . Under the further simplifying assumption that the barycenter varies continuously with , the answer is ‘yes’ for even-dimensional spheres. For (taking to be the origin) we can define a tangent vector field whose value at is the vector from to the barycenter of . For even, this vector vanishes for some , hence coincides with the barycenter for that particular . After this brief (?) categorical interlude, I’d like to pick up the main thread again, and take a closer look at the some of the ingredients of baby Stone duality in the context of categorical algebra, specifically through the lens of adjoint functors. By passing a topological light through this lens, we will produce the spectrum of a Boolean algebra: a key construction of full-fledged Stone duality! in the categories of Boolean algebras and sets . We said these are “natural” maps (even before the notion of naturality had been formally introduced), and recalled our earlier result that these are isomorphisms when and are finite (which is manifestly untrue in general; for instance, if is a free Boolean algebra generated by a countable set, then for simple reasons of cardinality cannot be a power set). given by the formula . [The very simple nature of this formula suggests that it’s nothing special to Boolean algebras — a similar adjunction could be defined for any algebraic theory defined by operations and (universally quantified) equations, replacing by any model of that theory.] The unit of the adjunction at is the function , and the counit at is the Boolean algebra map (regarded as a morphism mapping the other way in the opposite category ). The functor is usually described in the language of ultrafilters, as I will now explain. i.e., has the form for some such map. Being an ideal, it is an additive subgroup such that implies . It follows that if , then , so is closed under finite joins (including the empty join ). Also, if and , then , so that is “downward-closed”. we have that for all , either or , i.e., that either or . Satisfies dichotomy: for every , exactly one of belongs to . so that is naturally identified with the set of ultrafilters in . maps to an ultrafilter denoted , consisting of all subsets which contain , and called the principal ultrafilter generated by . Proposition 1: If an ultrafilter on contains a finite set , then is principal. which contradicts the fact that . Proposition 2: Every (proper) filter in a Boolean algebra is contained in some ultrafilter. Proof: This is dual to the statement that every proper ideal in a Boolean ring is contained in a maximal ideal. Either statement may be proved by appeal to Zorn’s lemma: the collection of filters which contain a given filter has the property that every linear chain of such filters has an upper bound (namely, the union of the chain), and so by Zorn there is a maximal such filter. As usual, Zorn’s lemma is a kind of black box: it guarantees existence without giving a clue to an explicit construction. In fact, nonprincipal ultrafilters on sets , like well-orderings of the reals, are notoriously inexplicit: no one has ever seen one directly, and no one ever will. That said, one can still develop some intuition for ultrafilters. I think of them as something like “fat nets”. Each ultrafilter on a set defines a poset (of subsets ordered by inclusion), but I find it more suggestive to consider instead the opposite , where in means — so that the further or deeper you go in , the smaller or more concentrated the element. Since is closed under finite intersections, has finite joins, so that is directed (any two elements have an upper bound), just like the elements of a net (or more pedantically, the domain of a net). I call an ultrafilter a “fat net” because its elements, being subsets of , are “fatter” than mere points. Intuitively speaking, ultrafilters as nets “move in a definite direction”, in the sense that given an element , however far in the net, and given a subset , the ultrafilter-as-net sniffs out a direction in which to proceed, “tunneling” either into if , or into its relative complement if this belongs to . In the case of a principal ultrafilter, there is a final element of the net; otherwise not (but we can think of a nonprincipal ultrafilter as ending at an “ideal point” of the set if we want). Since the intuitive imagery here is already vaguely topological, we may as well make the connection with topology more precise. So, suppose now that comes equipped with a topology. We say that an ultrafilter on converges to a point if each open set containing (or each neighborhood of ) belongs to the ultrafilter. In other words, by going deep enough into the ultrafilter-as-net, you get within any chosen neighborhood of the point. We write to say that converges to . with respect to whenever . Proposition 3: This defines a topology, . Proof: Since for every ultrafilter , it is clear that is open; also, it is vacuously true that the empty set is open. If are open, then for all , whenever , we have and , so that and by openness, whence since is closed under intersections. So is also open. Finally, suppose is a collection of open sets. For all , if , then for some , so that by openness, whence since ultrafilters are upward closed. So is also open. .
Theorem 1: If is a filter in and , then there exists an ultrafilter for which and . which in turn extends to some ultrafilter , by proposition 2. Since , we have . Corollary 1: Every filter is the intersection of all the ultrafilters which contain it. Theorem 2: A space is compact if and only if every ultrafilter converges to at least one point. It is Hausdorff if and only if every ultrafilter converges to at most one point. Proof: First suppose that is compact, and (in view of a contradiction) that converges to no point of . This means that for every there is a neighborhood which does not belong to , or that . Finitely many of these cover , by compactness. By De Morgan’s law, this means finitely many have empty intersection. But this would mean , since is closed under finite intersections, contradiction. Extend this filter to an ultrafilter ; then by assumption . If some one of the contained , then by definition of convergence. But we also have , and this is a contradiction. So, lies outside the union of the , as was to be shown. Now let be Hausdorff, and suppose that and . Let be neighborhoods of respectively with empty intersection. By definition of convergence, we have , whence , contradiction. Conversely, suppose every ultrafilter converges to at most one point, and let be two distinct points. Unless there are neighborhoods of respectively such that (which is what we want), the smallest filter containing the two neighborhood filters (that is to say, the join in the poset of filters) is proper, and hence extends to an ultrafilter . But then and , which is to say and , contradiction. Theorem 2 is very useful; among other things it paves the way for a clean and conceptual proof of Tychonoff’s theorem (that an arbitrary product of compact spaces is compact). 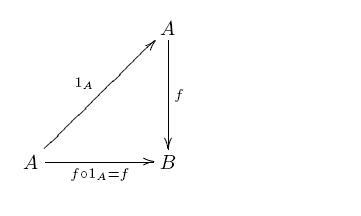 For now we note that it says that a topology is the topology of a compact Hausdorff space structure on if and only if the convergence relation is a function. And in practice, functions which arise “naturally” tend to be such convergence relations, making a compact Hausdorff space. Chasing this a little further, the map “pulls back” an ultrafilter to the ultrafilter , viewed as an element of . We then topologize by the topology . This construction is about as “abstract nonsense” as it gets, but you have to admit that it’s pretty darned canonical! 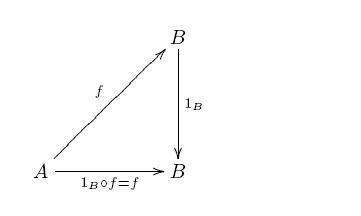 The topological space we get in this way is called the spectrum of the Boolean algebra . If you’ve seen a bit of algebraic geometry, then you probably know another, somewhat more elementary way of defining the spectrum (of as commutative ring), so we may as well make the connection explicit. However you define it, the result is a compact Hausdorff space structure with some other properties which make it very reminiscent of Cantor space. you see immediately that converges to . Proposition 4: is open in . or that . But (as a subset of ) is ! As a result, and are open sets containing the given points . They are disjoint since in fact (indeed, because preserves negation). This gives Hausdorffness, and also that the are clopen (closed and open). Proposition 5: The collection is a basis for the topology on . between the two topologies. But a continuous bijection from a compact space to a Hausdorff space is necessarily a homeomorphism, so . Remark: In particular, the canonical topology on is compact Hausdorff; this space is called the Stone-Cech compactification of (the discrete space) . The methods exploited in this lecture can be used to show that in fact is the free compact Hausdorff space generated from the set , meaning that the functor is left adjoint to the underlying-set functor . In fact, one can go rather further in this vein: a fascinating result (first proved by Eduardo Manes in his PhD thesis) is that the concept of compact Hausdorff space is algebraic (is monadic with respect to the monad ): there is a equationally defined theory where the class of -ary operations (for each cardinal ) is coded by the set of ultrafilters , and whose models are precisely compact Hausdorff spaces. This goes beyond the scope of these lectures, but for the theory of monads, see the entertaining YouTube lectures by the Catsters! In our last post on category theory, we continued our exploration of universal properties, showing how they can be used to motivate the concept of natural transformation, the “right” notion of morphism between functors . In today’s post, I want to turn things around, applying the notion of natural transformation to explain generally what we mean by a universal construction. The key concept is the notion of representability, at the center of a circle of ideas which includes the Yoneda lemma, adjoint functors, monads, and other things — it won’t be possible to talk about all these things in detail (because I really want to return to Stone duality before long), but perhaps these notes will provide a key of entry into more thorough treatments. Even for a fanatic like myself, it’s a little hard to see what would drive anyone to study category theory except a pretty serious “need to know” (there is a beauty and conceptual economy to categorical thinking, but I’m not sure that’s compelling enough motivation!). I myself began learning category theory on my own as an undergraduate; at the time I had only the vaguest glimmerings of a vast underlying unity to mathematics, but it was only after discovering the existence of category theory by accident (reading the introductory chapter of Spanier’s Algebraic Topology) that I began to suspect it held the answer to a lot of questions I had. So I got pretty fired-up about it then, and started to read Mac Lane’s Categories for the Working Mathematician. I think that even today this book remains the best serious introduction to the subject — for those who need to know! But category theory should be learned from many sources and in terms of its many applications. Happily, there are now quite a few resources on the Web and a number of blogs which discuss category theory (such as The Unapologetic Mathematician) at the entry level, with widely differing applications in mind. An embarrassment of riches! Anyway, to return to today’s topic. Way back when, when we were first discussing posets, most of our examples of posets were of a “concrete” nature: sets of subsets of various types, ordered by inclusion. In fact, we went a little further and observed that any poset could be represented as a concrete poset, by means of a “Dedekind embedding” (bearing a familial resemblance to Cayley’s lemma, which says that any group can be represented concretely, as a group of permutations). Such concrete representation theorems are extremely important in mathematics; in fact, this whole series is a trope on the Stone representation theorem, that every Boolean algebra is an algebra of sets! With that, I want to discuss a representation theorem for categories, where every (small) category can be explicitly embedded in a concrete category of “structured sets” (properly interpreted). This is the famous Yoneda embedding. Observation: The categorical axioms are satisfied in the structure if and only if they are in ; also, . Definition: Let be objects in a category . A coproduct of and consists of an object and maps , (called injection or coprojection maps), satisfying the universal property that given an object and maps , , there exists a unique map such that and . This notion is dual to the notion of product. (Often, one indicates the dual notion by appending the prefix “co” — except of course if the “co” prefix is already there; then one removes it.) In the category of sets, the coproduct of two sets may be taken to be their disjoint union , where the injections are the inclusion maps of into (exercise). Exercise: Formulate the notion of coequalizer (by dualizing the notion of equalizer). Describe the coequalizer of two functions (in the category of sets) in terms of equivalence classes. Then formulate the notion dual to that of monomorphism (called an epimorphism), and by a process of dualization, show that in any category, coequalizers are epic. Principle of duality: If a sentence expressed in the first-order theory of categories is provable in the theory, then so is the dual sentence. Proof (sketch): A proof of a sentence proceeds from the axioms of category theory by applying rules of inference. The dualization of proves the dual sentence by applying the same rules of inference but starting from the duals of the categorical axioms. A formal proof of the Observation above shows that collectively, the set of categorical axioms is self-dual, so we are done. Next, we introduce the all-important hom-functors. We suppose that is a locally small category, meaning that the class of morphisms between any two given objects is small, i.e., is a set as opposed to a proper class. Even for large categories, this condition is just about always satisfied in mathematical practice (although there is the occasional baroque counterexample, like the category of quasitopological spaces). Using the associativity and identity axioms in , it is not hard to check that this indeed defines a functor . It generalizes the truth-valued pairing we defined earlier for posets. This is the famous Yoneda embedding of the category . It takes an object to the hom-functor . This hom-functor can be thought of as a structured, disciplined way of considering the totality of morphisms mapping into the object , and has much to do with the Yoneda Principle we stated informally last time (and which we state precisely below). Remark: We don’t need to be small to talk about ; local smallness will do. The only place we ask that be small is when we are considering the totality of all functors , as forming a category . Definition: A functor is representable (with representing object ) if there is a natural isomorphism of functors. The concept of representability is key to discussing what is meant by a universal construction in general. To clarify its role, let’s go back to one of our standard examples. between morphisms into the product and pairs of morphisms. But wait, not just an isomorphism: we said a natural isomorphism (between functors in the argument ) — how does naturality figure in? Yoneda Lemma: Given a functor and an object of , natural transformations are in (natural!) bijection with elements . is natural in the arguments we leave as an exercise. In summary, the Yoneda lemma guarantees that a hom-representation of a functor is, by the naturality assumption, induced in a uniform way from a single “universal” element . All universal constructions fall within this general pattern. Example: Let be a category with products, and let be objects. Then a representing object for the functor is an exponential ; the universal element is the evaluation map . Exercise: Let be a pair of parallel arrows in a category . Describe a functor which is represented by an equalizer of this pair (assuming one exists). Exercise: Dualize the Yoneda lemma by considering hom-functors . Express the universal property of the coproduct in terms of representability by such hom-functors. the functor is said in that case to be fully faithful (faithful means this action on morphisms is injective for all , and full means the action is surjective for all ). The Yoneda embedding thus maps isomorphically onto the category of hom-functors valued in the category . identifies any abstract group with a concrete group , i.e., with a group of permutations — namely, exactly those permutations on which respect the right action of on itself. This is the sophisticated version of Cayley’s theorem in group theory. If on the other hand we take to be a poset, then the Yoneda embedding is tantamount to the Dedekind embedding we discussed in the first lecture. Tying up a loose thread, let us now formulate the “Yoneda principle” precisely. Informally, it says that an object is determined up to isomorphism by the morphisms mapping into it. Using the hom-functor to collate the morphisms mapping into , the precise form of the Yoneda principle says that an isomorphism between representables corresponds to a unique isomorphism between objects. This follows easily from the Yoneda lemma. But far and away, the most profound manifestation of representability is in the notion of an adjoint pair of functors. “Free constructions” give a particularly ubiquitous class of examples; the basic idea will be explained in terms of free groups, but the categorical formulation applies quite generally (e.g., to free monoids, free Boolean algebras, free rings = polynomial algebras, etc., etc.). — there are no relations between the generators of beyond the bare minimum required by the group axioms. where denotes the underlying set of the group. That is, we are free to assign elements of to elements of any way we like: any function extends uniquely to a group homomorphism , sending a word in to the element in . where the first arrow refers to the action of the underlying-set or forgetful functor , mapping the category of groups to the category of sets ( “forgets” the fact that homomorphisms preserve group structure, and just thinks of them as functions ). Remark: Some people might say this a little less formally: that the original function is retrieved from the extension homomorphism by composing with the canonical injection of the generators . The reason we don’t say this is that there’s a confusion of categories here: properly speaking, belongs to the category of groups, and to the category of sets. The underlying-set functor is a device we apply to eliminate the confusion. i.e., is defined to be the unique map such that . Proposition: is functorial (i.e., preserves morphism identities and morphism composition). (where we used functoriality of in the first equation). Hence . Another universality argument shows that preserves identities. That is to say, that there is only one way of defining so that the universal map is (the component at of) a natural transformation ! natural in both arguments . We say that is left adjoint to , or dually, that is right adjoint to , and write . The transformation is called the unit of the adjunction. Exercise: Define the construction dual to the unit, called the counit, as a transformation . Describe this concretely in the case of the free-underlying adjunction between sets and groups. What makes the concept of adjoint functors so compelling is that it combines representability with duality: the manifest symmetry of an adjunction means that we can equally well think of as representing as we can as representing . Time is up for today, but we’ll be seeing more of adjunctions next time, when we resume our study of Stone duality. I will write a series of posts as a way of gently introducing category theory to the ‘beginner’, though I will assume that the beginner will have some level of mathematical maturity. This series will be based on the the book, Conceptual Mathematics: A first introduction to categories by Lawvere and Schanuel. So, this won’t go into most of the deeper stuff that’s covered in, say, Categories for the Working Mathematician by Mac Lane. We shall deal only with sets (as our objects) and functions (as our morphisms). This means we deal only with the Category of Sets! Therefore, the reader is not expected to know about advanced stuff like groups and/or group homomorphisms, vector spaces and/or linear transformations, etc. Also, no knowledge of college level calculus is required. Only knowledge of sets and functions, some familiarity in dealing with mathematical symbols and some knowledge of elementary combinatorics are required. That’s all! An object (in this category) is a finite set or collection. iii) a rule assigning to each , an element . We also use ‘function’, ‘transformation’, ‘operator’, ‘arrow’ and ‘morphism’ for ‘map’ depending on the context, as we shall see later. An endomap is a map that has the same object as domain and codomain, which in this case is . An endomap in which for every is called an identity map, also denoted by . Composition of maps is a process by which two maps are combined to yield a third map. Composition of maps is really at the heart of category theory, and this will be evident in plenty in the later posts. So, if we have two maps and , then is the third map obtained by composing and . Note that is read ‘ following ‘. Guess what? Those are all the ingredients we need to define our category of sets! Though we shall deal only with sets and functions, the following definition of a category of sets is actually pretty much the same as the general definition of a category. (1) OBJECTS: these are usually denoted by etc. (2) MAPS: these are usually denoted by etc. (3) For each map , one object as DOMAIN of and one object as CODOMAIN of . So, has domain and codomain . This is also read as ‘ is a map from to ‘. (4) For each object , there exists an IDENTITY MAP, . This is also written as . (i) (IDENTITY LAWS): If , then we have and . (ii) (ASSOCIATIVE LAW): If and , then we have . ( ‘ following following ‘) Note that in this case we are allowed to write without any ambiguity. (1) How many maps are there from to ? (2) How many maps are there from to ? (3) How many maps are there from to ? (4) How many maps are there from to ? (5) How many maps are there from to satisfying ? (6) How many maps are there from to satisfying ? (7) Can you find a pair of maps and such that . If yes, how many pairs can you find? (8 ) Can you find a pair of maps and such that . If yes, how many pairs can you find? How many maps are there if is the empty set and for some ? What if and is the empty set? What if both and are empty?